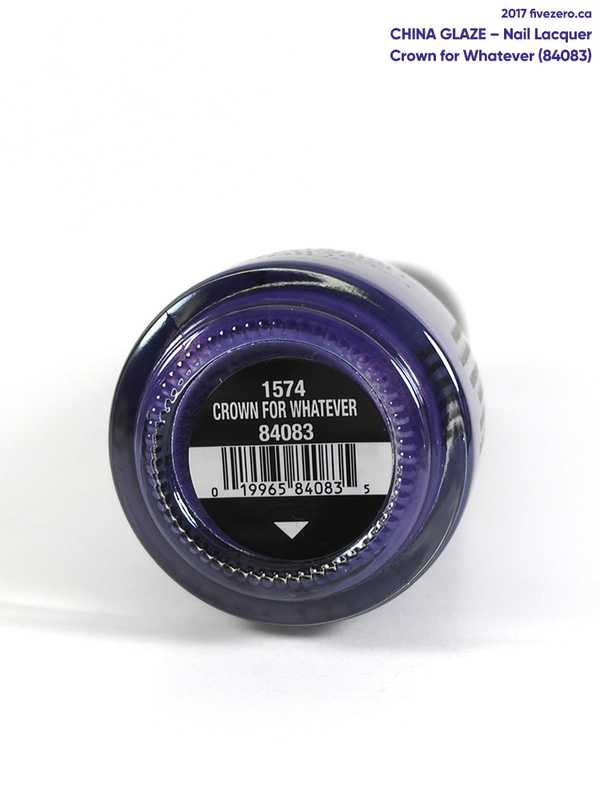 Crown for Whatever (84083) is a deep, indigo purple with extremely subtle, fine fuchsia shimmer. It dries matte. I am not usually a huge fan of the matte look, but this one is quite striking and I probably the first matte I’d consider wearing without a glossy top coat over it! 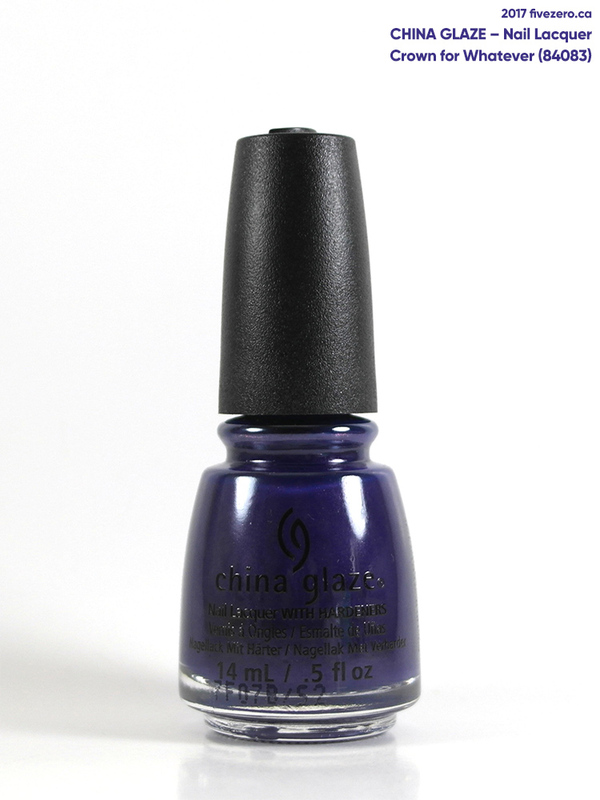 The polish applies smoothly, though it can be a little tricky to get the edges even. It dries quite quickly. Two coats gave perfectly opaque coverage. You can see that green iridescence I promised you in my Queen, Please! review, now, right? I think this is definitely going to be my Halloween mani! I’ll aim to be a little tidier around the edges, though. Gorgeous colour. I prefer the matte finish, myself. I love the look of this one both ways! This looks so good! I love the matte finish but who can resist adding sparkle? pretty and I love a good quality matte. That is definitely one of the more interesting matte shades out there, I love that little “glow” the shimmer gives it! 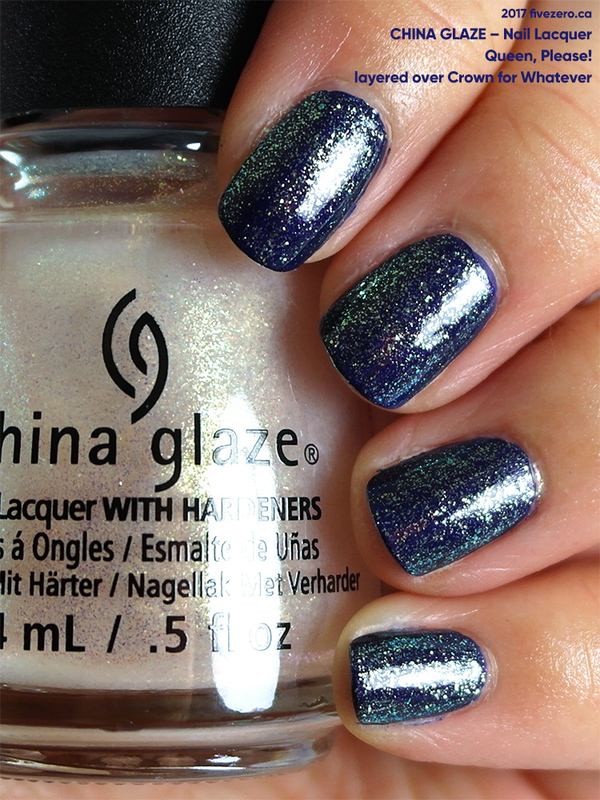 With Queen, Please over the top, it looks Northern Lights-ish, super pretty!